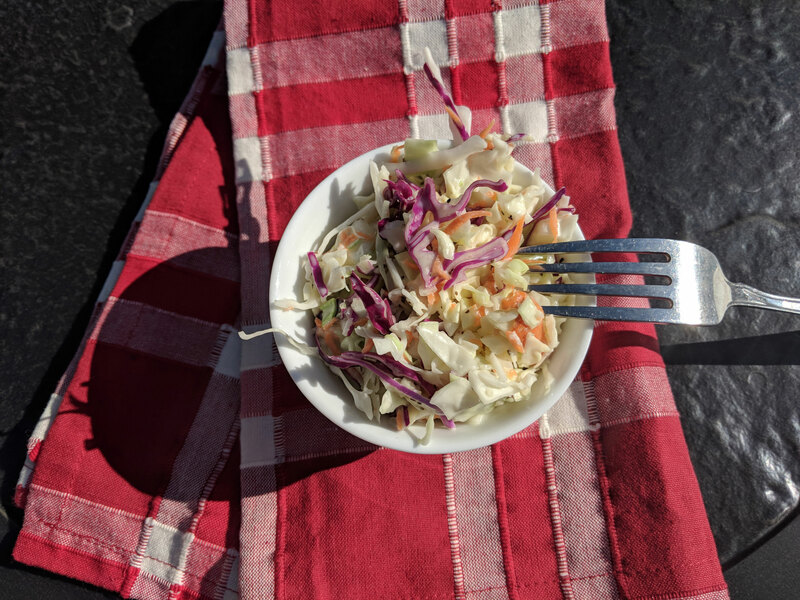 If you love that cole slaw with crisp cabbage, and sweet sauce, you’ll love this Old Fashioned Cole Slaw. It reminds me of Kentucky Fried Chicken’s cole slaw. 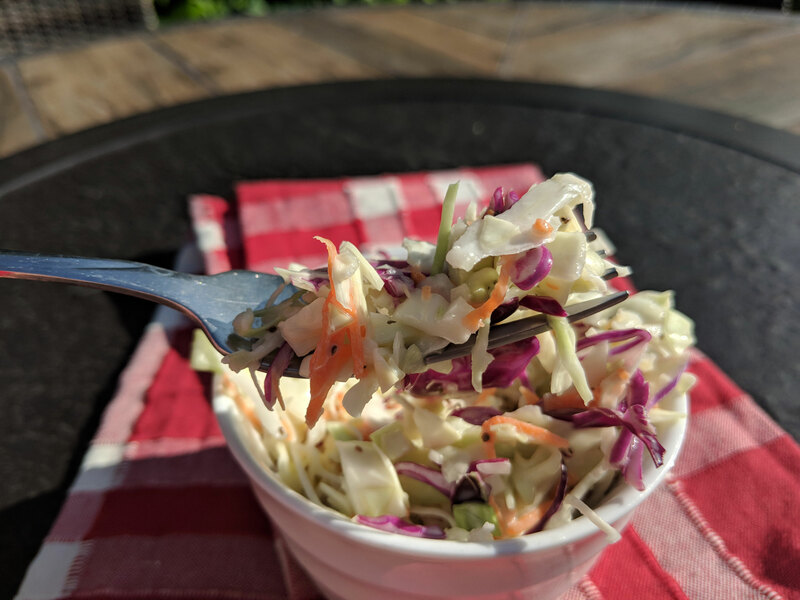 I can remember years ago, at my church, the ladies used to make cole slaw for their ham and bean suppers. They used to make the cole slaw in the refrigerators crisper drawers. I’m not sure what that was all about, but I do remember that cole slaw was the best ever, and had a sweet sauce that was delicious. I know they used Miracle Whip in their cole slaw. The only problem is, every time I make it the dish becomes a soggy mess after the cabbage has melded with the dressing. Even when I put very little dressing on it, it’s soggy. 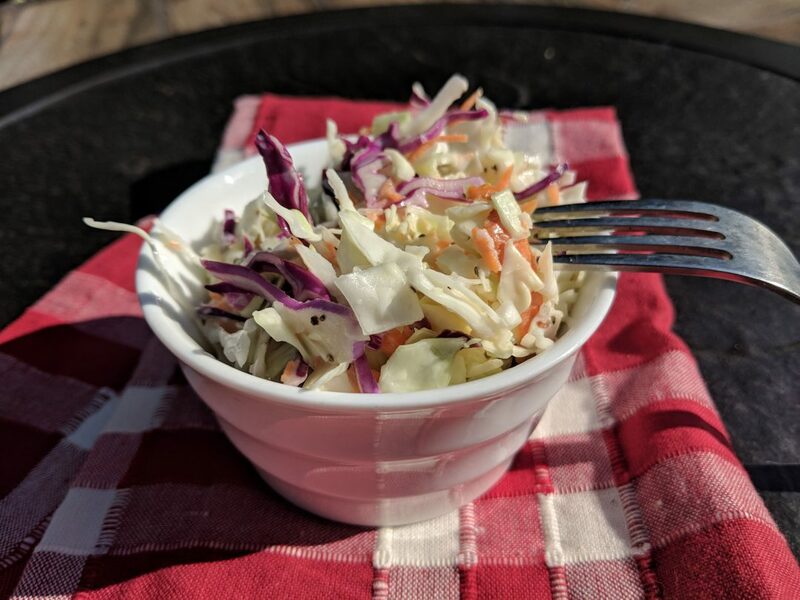 So I did a little investigation, as to how I could improve the crispness even after the cole slaw has been sitting for a while. Apparently the cabbage has to be “dry” to allow the dressing to cling to it, and to eliminate the water from getting released from the cabbage. There’s quite a lot of water in the cabbage, so if it is salted, the water will release ahead of time, and your dressing will stay rich and creamy. 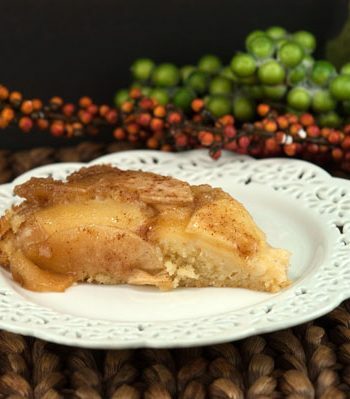 I have done this technique with tomatoes and apples on other recipes. It’s similar to the way I make potato salad…drying the potatoes before dressing helps the dressing cling to the potatoes nicely. You can use mayonnaise instead of Miracle Whip, just adjust the sugar. Toss the cabbage, carrot and onion with the salt. 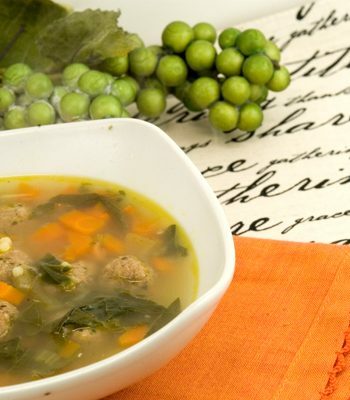 Place in a large colander, with a bowl under the colander to catch the liquid. Put cabbage mixture in the refrigerator until cabbage is wilted, about 2 hours. Rinse mixture well with cold water. Drying in a salad spinner with help get all of the water off of the cabbage mixture. If you do not have a salad spinner, dry mixture with paper towels. 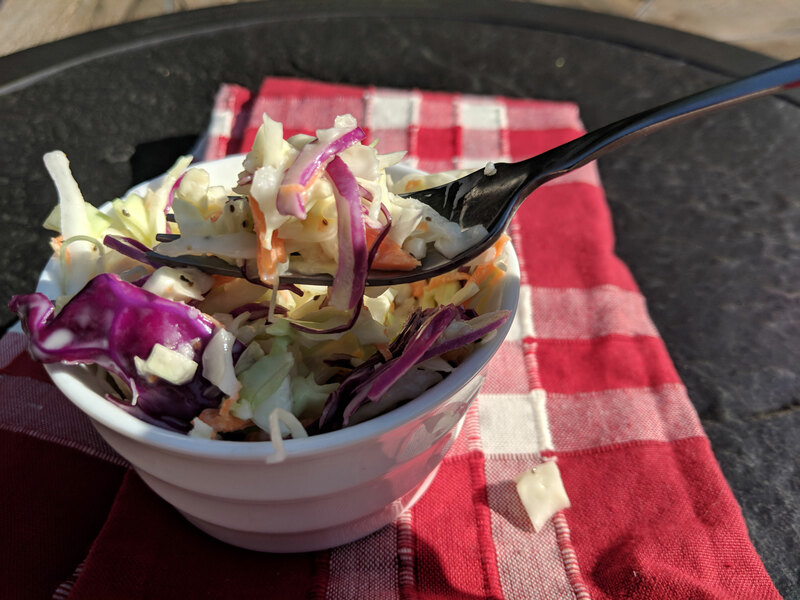 Dress cabbage mixture with slaw dressing. Let sit in fridge 2-3 hours if possible.